I was sorely tempted to delay this by one day and just call it the June round-up, but maybe that’s cheating?! You may have seen the news lately that just 11% of TV comedy shows are written by women. The research was commissioned by the Writers’ Guild of Great Britain. In response the satirical website Succubus has launched a hashtag campaign, #WriteWithHer, to highlight the sheer volume of female comedy writing talent in the UK. Check it out! 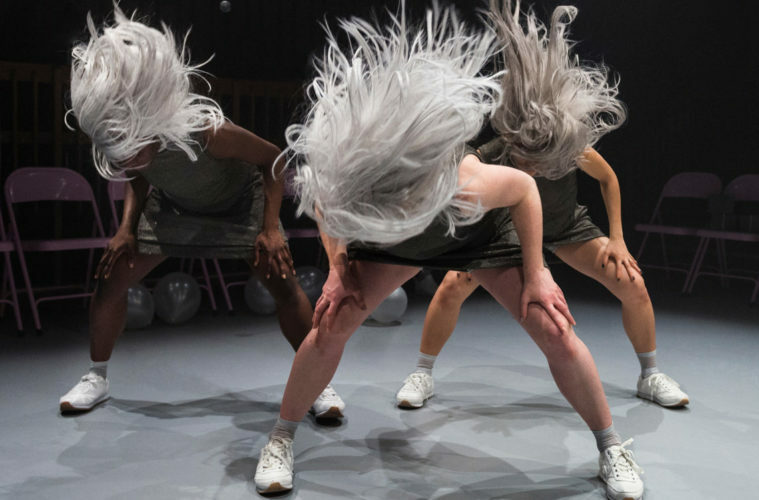 Smack That (a conversation) is an inventive and accessible dance/theatre exploration of domestic abuse from Rhiannon Faith. 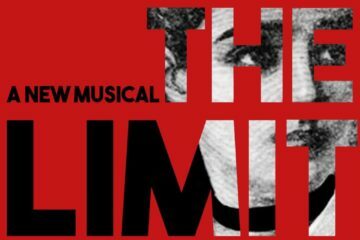 It features an all female cast of seven with non-performers alongside experienced dance artists, all with personal experience of abuse. It’s opening TONIGHT in Halifax before going to Ipswich (8 June), the Barbican Centre (12 – 16 June) and Doncaster (6 July). Offside by Sabrina Mahfouz and Hollie McNish which we reviewed here is soon to be performed at site-specific venues: the football grounds of Queen’s Park Rangers (1 – 3 June), Leighton Orient (4 June), Brighton and Hove Albion (21 – 22 June) and Lewes (23 – 24 June, the Sunday show will be at 11am followed by the 1pm England men’s World Cup match shown in the Lewes FC bar). There will be an immersive performance of Orwell’s Down and Out, examining homelessness in both London and Paris happening here on 6 June at Senate House and in Paris in late September. The planned performance of readings from Orwell’s book and from other key works, including his essay The Spike and his novel A Clergyman’s Daughter, will be accompanied by modern testimony from refugees and rough sleepers and by poetry, musical performances and panel discussions. 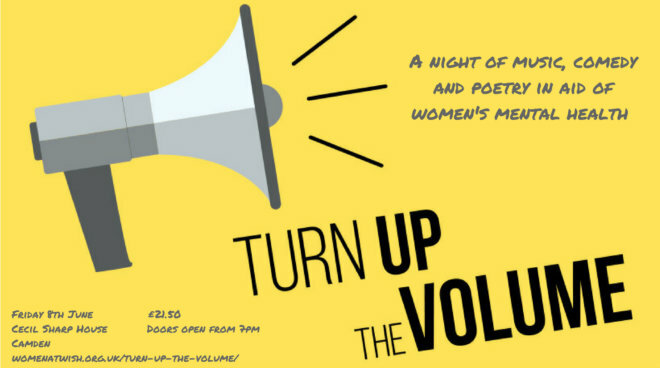 The women’s mental health charity Wish are hosting a live music, poetry and comedy night Turn Up The Volume on 8 June in Camden to raise money for their latest project. Violence by Glasgow-based performance artist FK Alexander will be at The Place in London on 9 June. FK identifies as living in recovery from drug addiction and mental collapse, and her work is concerned with issues of wounds, recovery, aggressive healing, radical wellness, industrialisation and noise music. Manchester-based performance artist David Hoyle (who we reviewed here), who has been at the heart of the LGBT scene for decades, explores LGBT history spanning the 60-year period from 1957 to 2017 in Diamond at HOME Manchester from 11 until 13 June. Manchester, and to showcase the culture and talent that refugee artists and creatives bring to the UK and to that city. Cockamamy will be at the Hope Theatre in London from 12 until 30 June. 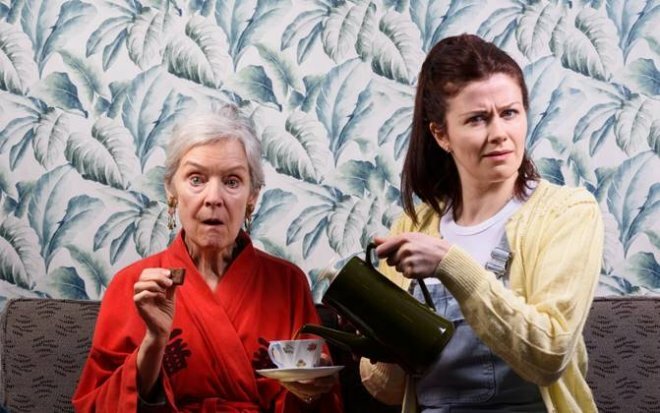 The play examines companionship, caring and the reality of living with dementia. The Roundhouse’s annual spoken word festival, The Last Word, will be happening from 13 June until 1 July and will include performances from Jade Anouka, Brigitte Aphrodite and Cecilia Knapp. 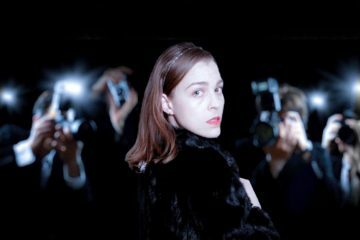 German-based choreographer Alexandra Waierstall makes her Sadler’s Wells debut with the UK premiere of And here we meet, in the Lilian Baylis Studio on Thursday 14 and Friday 15 June. She delves into hidden geographies, abandoned cities and no man’s lands in the piece, and investigates the relationship between man and woman, the environment and choreography. US standup and author Jen Kirkman will be performing the brand new ‘I Don’t Give A F*ck Tour’ at Leicester Square Theatre on 22 June. Jen is established as a keen political voice and regularly discusses women’s rights in her standup as well as relationships, self-care and turning 43. This year’s RADA Festival (reviewed last year here) takes place from 27 June until 7 July. Highlights of this year’s programme include murals, performances and forums celebrating the centenary of the Representation of the People Act plus tickets start at £5 and there will be a mix of accessible, captioned and BSL-interpreted performances. And finally, on Sunday 10 June, women and girls from across the UK will come together to create a vast participatory artwork taking place for one day in Belfast, Cardiff, Edinburgh and London. There’s still time to sign up! Image one, the feature image, is of Smack That (a conversation) and shows three women, seemingly caught in the moment of headbanging. All three are standing wide, with their hands on their knees and their heads moving downwards, with the hair of their long grey wigs flying behind them. They wear short grey or silver dresses and white trainers. Image two in the text is the flyer of Turn Up The Volume. It is a picture of a loudhailer on a yellow background and features the words: “A night of music, comedy and poetry in aid of women’s mental health. Turn Up The Volume. Friday 8th June, £21.50, Cecil Sharp House Camden, doors open from 7pm. womenatwish.org.uk/turn-up-the-volume/. Image three in the text is from Cockamamy and shows two women side by side. The woman on the right is younger and is pouring tea from a tall, dark green teapot into a teacup held by the other. She looks quizzically at the camera. The woman on the left is older and has a look of surprise. Behind them a sofa can just be seen in front of leafy-patterned wallpaper.